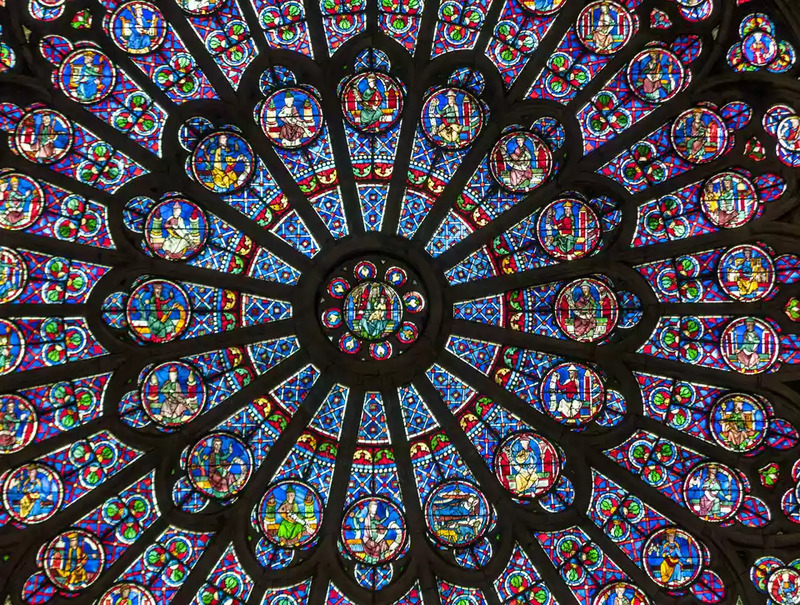 Paris houses many of history’s more stunning spiritual relics– churches and cathedrals* that stand today as breathtaking testimonials to a complex heritage of Christianity that dominated in Paris from the fall of the Roman Empire to the French Revolution. Many of these majestic edifices fell into near-ruin in the wake of the Revolution, but revived interest in the 19th century brought about their restoration. Notre Dame Cathedral is arguably the most stunning gothic cathedral in the world– and is undoubtedly the most famous. Conceived in the 12th century and completed in the 14th, Notre Dame Cathedral was the very heartbeat of medieval Paris. 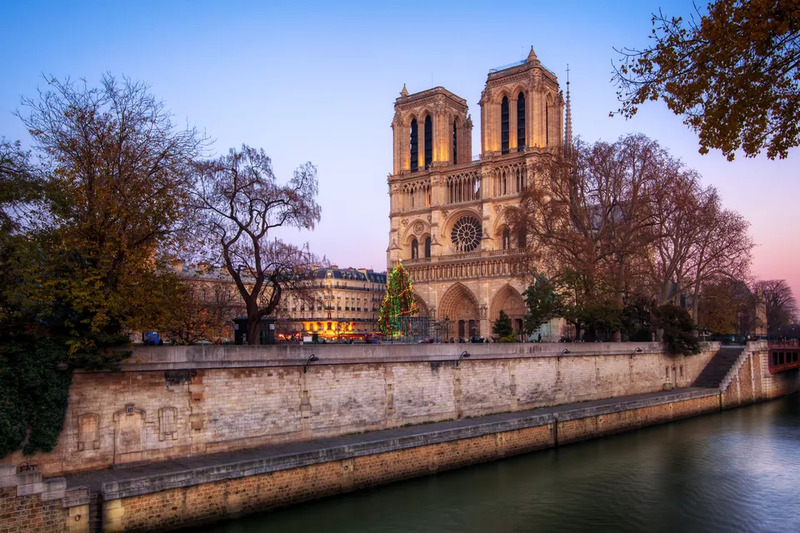 After a period of neglect, it recaptured the popular imagination when 19th-century writer Victor Hugo immortalized it in “The Hunchback of Notre Dame”. Not far from Notre Dame on the Ile de la Cite looms another pinnacle of gothic architecture. Sainte-Chapelle was erected in the mid-13th century by King Louis IX. The holy chapel features some of the period’s best-conceived stain glass, housing a total of 15 glass panels and a prominent large window, whose colors remain surprisingly vibrant. Wall paintings and elaborate carvings emphasize the stunning medieval beauty of Sainte Chapelle even more. Just North of Paris in a working-class suburb is one of France’s oldest sites of Christian worship and its most famous abbey– a burial place for 43 kings and 32 queens. The Saint-Denis Basilica, whose current edifice was built sometime between the 11th and 12th centuries, served as a royal burial site from as early as the 5th century. With its sculpted tombs and flamboyant gothic details, this often-overlooked gem is worth a trip outside the city limits.